Huawei's decision to output audio through the USB port means that sound quality will degrade when a USB cable is connected. 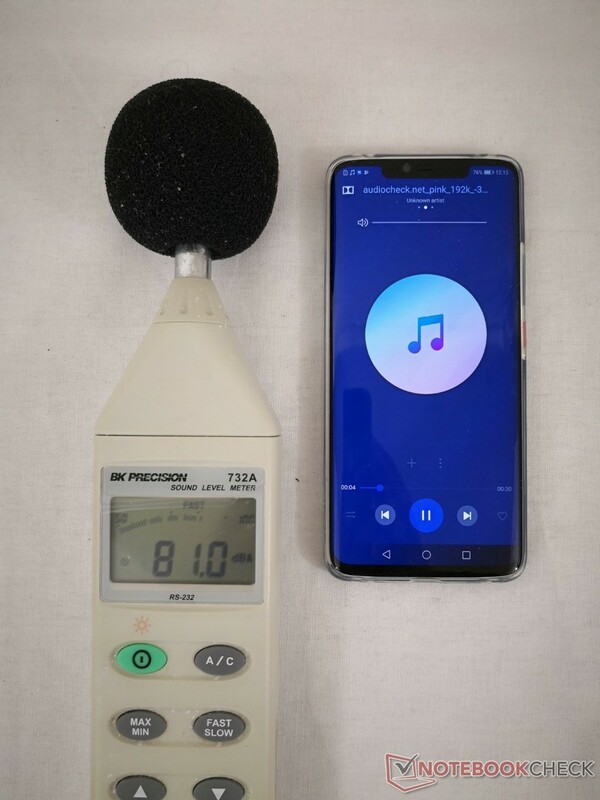 We measure exactly how much worse and softer the audio becomes with a sound meter and microphone. Last year's Mate 10 Pro had dedicated speaker grilles along the bottom edge next to the USB Type-C port. On this year's Mate 20 Pro, however, Huawei has removed these dedicated speaker grilles since the USB Type-C port can perform the same function. Thus, the USB port on the Mate 20 Pro serves as both a speaker grille and a wired interface. The problem with this approach has been noted in many reviews. Simply connecting a USB cable to the device will impact audio quality and volume and ultimately make the Mate 20 Pro a poorer smartphone for music and multimedia. To measure how much quieter the smartphone becomes when connected, we placed a BK Precision 732A sound meter next to the smartphone and played pink noise at maximum volume both with an attached USB cable and an unattached USB cable. 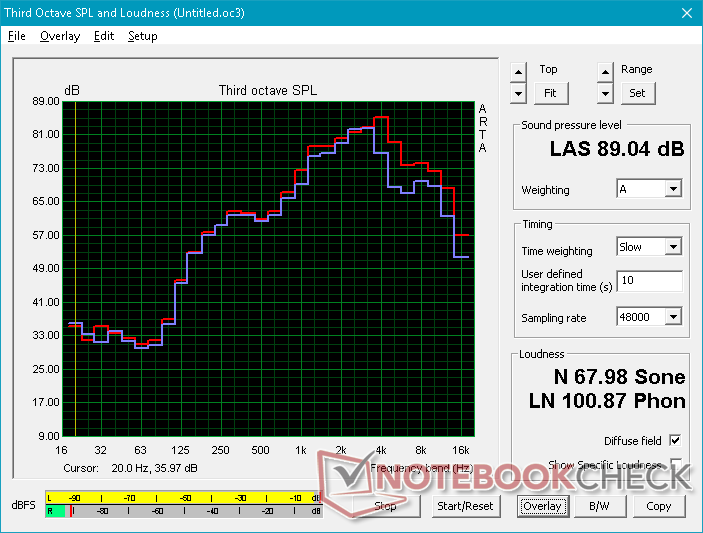 As shown by the screenshots below, volume drops from 81.0 dB(A) to 80.1 dB(A) on the logarithmic scale. Although the nominal difference is small, the volume change is noticeable in person. Results will also differ based on how far or close the sound meter is from the smartphone. Aside from volume, sound quality is affected as well. We repeated the test above but with a microphone to measure the frequency range of the speaker both with and without a connected USB cable. Our graph below shows that higher frequencies are better represented when there is no USB cable attached in addition to being slightly louder yet again. Audio quality is by no means poor on the Mate 20 Pro. If you want the best sound experience from the device, however, you're best off charging the device wirelessly during music or video playback in lieu of a USB cable.